The Jumbo 6 is a compact, lightweight, non-lubricated tank cleaning machine that offers unmatched flexibility and reliability. Constructed with 316 stainless steel. Hydraulically operated providing powerful jet streams. 360-degree indexing cleaning pattern every 45 revolutions. 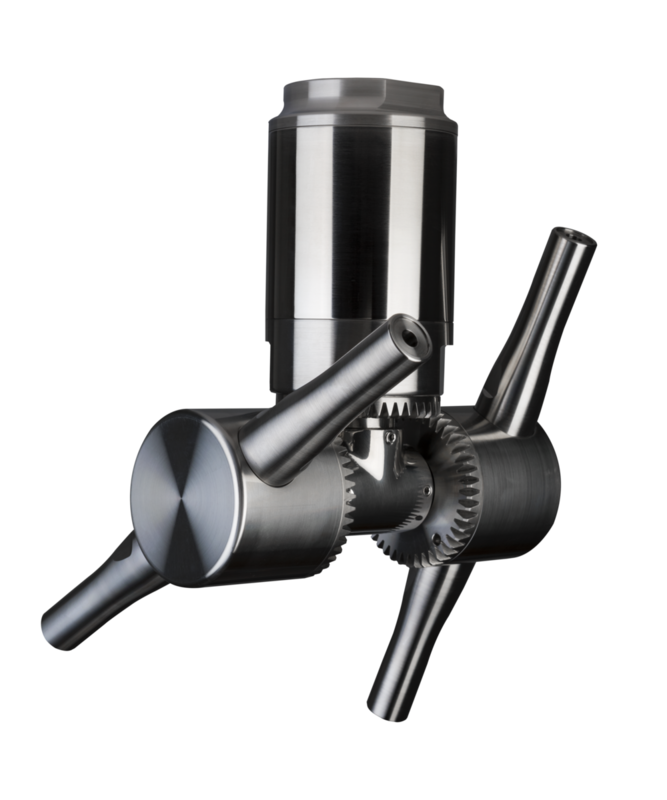 Available in 3 different nozzle sizes and 3 different configurations. Ideal for breweries, dairies and other food industries.